1715 | LCR Meter | QuadTech Inc. The QuadTech 1715 LCR Digibridge is an economically priced, easily programmable, micro-processor based passive component tester for fast, precise impedance measurements. It measures eleven different parameters with a basic accuracy of 0.2%. 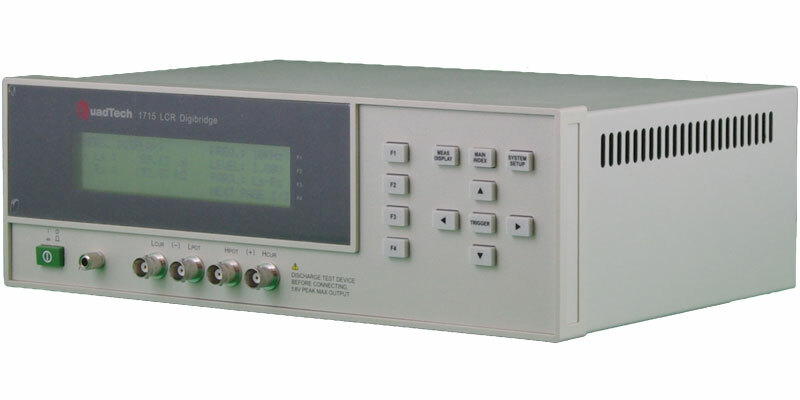 The 1715 provides four different test frequencies and two test voltages for testing flexibility. For remote operation and automated system applications, the unit comes standard with an RS-232 interface, plus IEEE-488 and Handler interfaces are available as options. 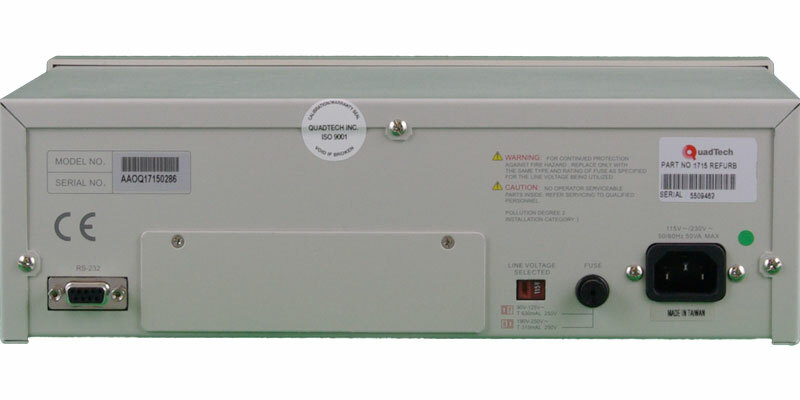 For remote control, or adaption to a production environment, the 1715 instrument includes an RS-232 interface as standard equipment. Both an IEEE-488 and a Handler interface are available as optional interfaces.